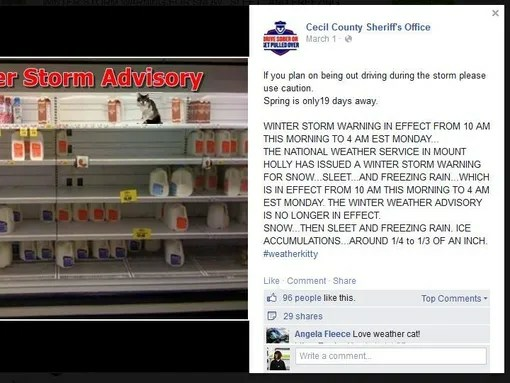 Cecil County Sheriff’s office has gained a lot of attention on Facebook… for photoshopping cats into their weather posts with the hashtag #weatherkitty. 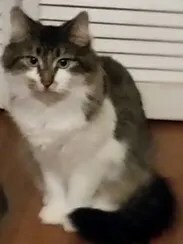 The cat, named Foots because of her tiny feet, has caught people’s attention and has drawn in more traffic to the Facebook page than stories about local heroes. Facebookers have responded positively to the kitty. Comments like, “Can’t wait to see where he turns up next!! Be safe on the roads…” fill the page. Others just appreciate the kitty’s cuteness. “Love that Kitty!! Soft Kitty, warm Kitty, little ball of fur!!! 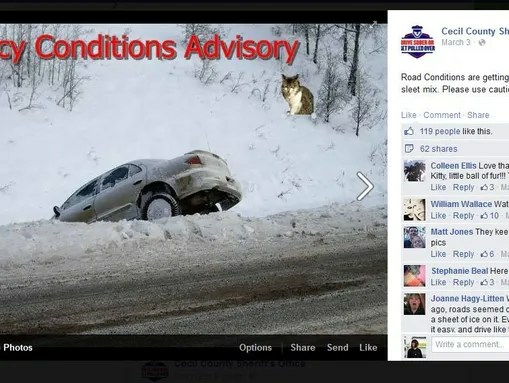 Thanks for the update,” one person posted on an icy conditions advisory post from March 3. The small 6-pound cat has garnered plenty of affection and attention in Cecil County. “She’s a mini-celebrity,” Kalinsky added. The sheriff’s office is glad to finally see some attention for their quirky posts. “Weatherkitty helps bring new eyes to the page, which is extremely important to us when we need help or want to publicize a case,” Kalinsky said. While some agencies struggle to gather the public’s assistance, Kalinsky said they’ve seen faster-than-ever responses since they started photoshopping Foots into their posts.